Thanks for everyone visiting our booth at International Pool Spa Patio Expo 2018. We feel pleased having substantial business talk with many participators, including distributor, contractor, designer, etc. 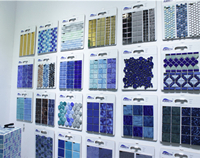 BluwhaleTile is a pool tile company, specializing in pool tile, mosaic and accessaries over 10 years. 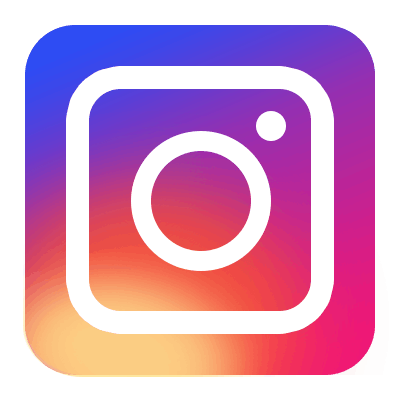 Here you're able to find what's most popular and innovative that are great for any residential and commercial project. Thanks for everyone visiting Bluwhale Tile at Asia Pool & Spa Expo 2018, here we bring and introduce our newest design and hot sale swimming pool mosaic tiles. Glad to get your useful feedbacks and we will make efforts to provide better products and service for all customers worldowide. 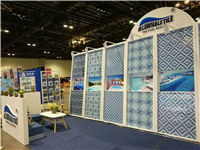 Bluwhale Tile was at the International POOL|SPA|PATIO EXPO 2017 with the latest geometric collection of swimming pool tiles. We received good feedback from the market and will keep doing our best for our customers. Here is the review for the show this time. Thank you for all visitors and see you next time! Many thanks for all visitors to see us at Asia Pool & Spa Expo 2017, it is another nice journey for us to have a face-to-face talke with you all. Glad to find your like for our pool mosaic designs. Learning and keep moving, we will come back for you with more satisfying swimming pool tiles products. 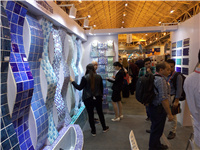 Reviews to the International POOL|SPA|PATIO EXPO 2016, Bluwhale Tile is here with our best and new swimming pool tiles collections to satisfy all visitors. We will keep going and do our best for all customers. Thanks for all visitors and see you next time! Thanks for visit us at Kitchen, Bath, Sauna&Pool Industries & Equipment International Exhibition 2016. On the Fair, our pool mosaic tiles are well received by many visitors, we'll make our best to provide more superior quality and latest design pool tile products for you. Expected to see you at the next event in Iran! 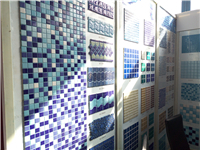 We thank all visitors for visiting our booth at Asia Pool & Spa Expo 2016, this exhibition is sucessful for us to show our popular pool tiles collections and new colors. Looking forward to seeing you on the next event!